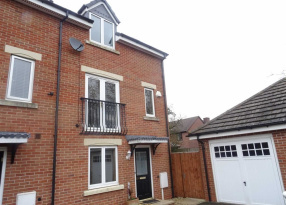 A well appointed, modern three bedroomed end town house situated in the hub of Burbage Village close to all amenities. 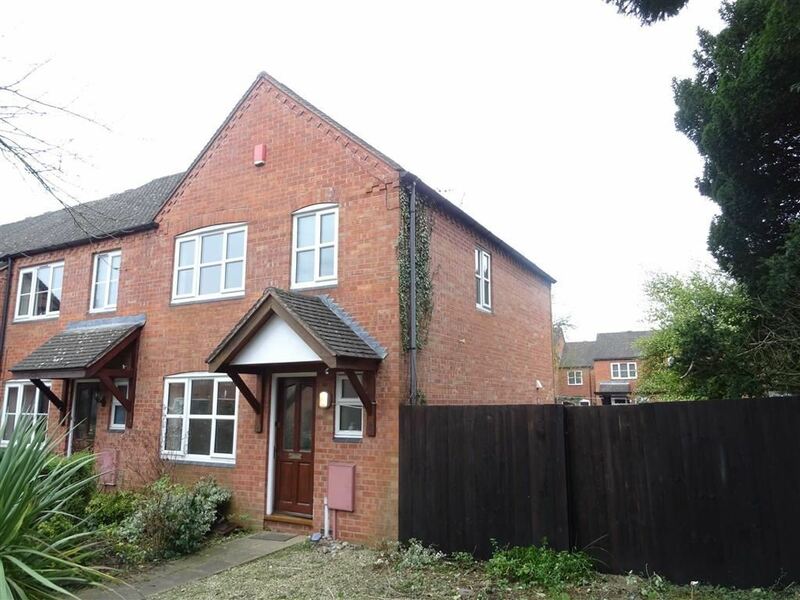 The property has the benefit of UPVC double glazing, gas fired central heating, detached garage, driveway to front, gardens to front, rear and side, modern fitted kitchen, bathroom with shower. Having wash hand basin with tiled splash back, low flush w.c central heating radiator, obscure UPVC double glazed window. 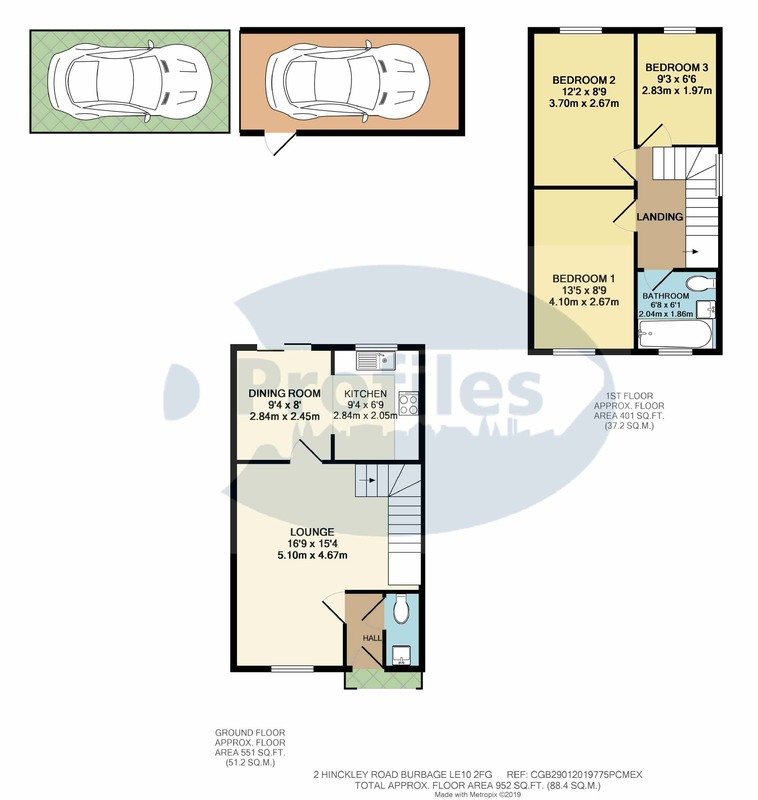 Having UPVC double glazed window, central heating radiator, easy tread staircase via quarter landing to first floor, room stat, spindle balustrade, smoke detector, power points. Having laminate floor, cloaks cupboard, UPVC double glazed patio doors, power points. Having black slate effect resin sink unit, four base units and four wall units, associated bevel edged work surfaces, laminate floor, wall mounted gas fired fan assisted central heating boiler with adjacent programmer , ceramic wall tiling, power points, split level gas hob and electric oven, extractor hood. Having smoke alarm, roof void access, airing cupboard off. Having full suite in white comprising panelled bath with mixer shower and side glazed screen, pedestal wash hand basin, low flush w.c, obscure UPVC double glazed window, ceramic tiled floor, central heating radiator, extractor fan. Having up and over door, power and light, side door, storage to roof, driveway to front.